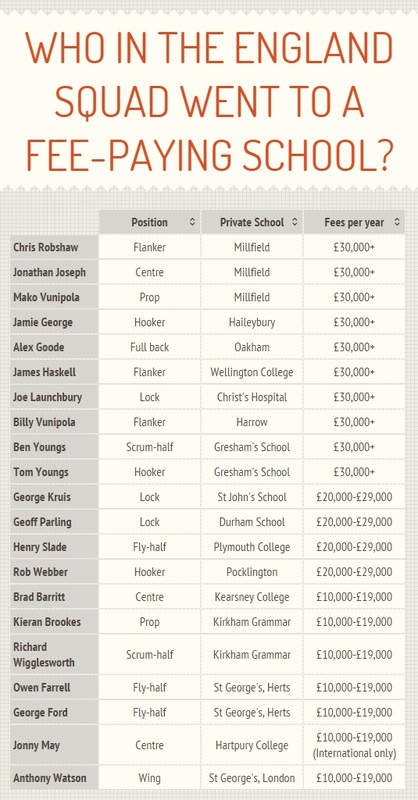 The England World Cup rugby team is made up of ex-private school boys, as over two thirds went to fee-paying schools. You don’t have to be posh to play rugby, but it certainly helps as 21 of our World Cup team went to private school. This is compared to just 10 players who went to state school. 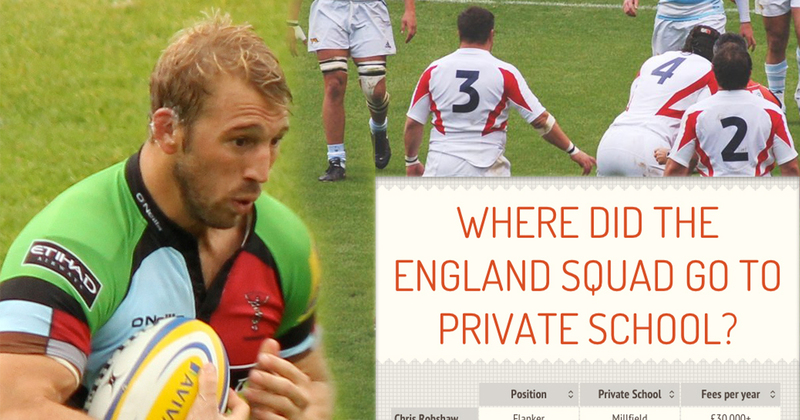 Millfield is the most popular private school for producing rugby greats, as captain Chris Robshaw, Jonathan Joseph and Mako Vunipola all went there. Harrow, Wellington and Oakham schools also made an appearance. In rugby union, 61 per cent of players are privately educated – compared to a far smaller 39 per cent who didn’t pay for their education. Comparing this to football, a staggering 94 per cent of Premier League players went to state school. And it looks like English rugby is getting more and more dominated by former private school boys. Back in 2003 there were 18 ex-state school students in the team compared to just 11 who paid. Iain Simpson, Director of Sport at private school Oakham told the BBC: “My great sadness is that state school sport has gone downhill in the last 20 years. “We don’t play any state schools, because they don’t offer the right level or quantity of competition.